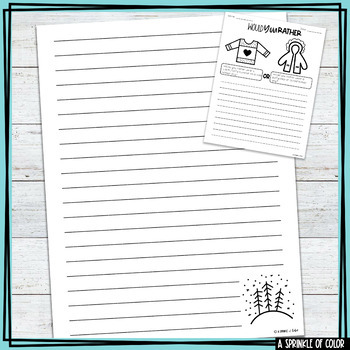 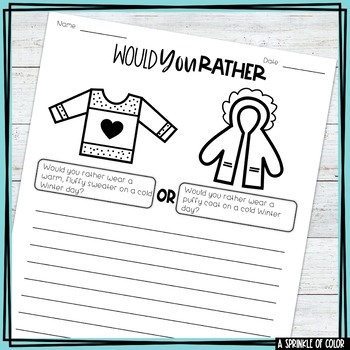 5 "Would You Rather" writing prompt worksheets for WINTER fun. 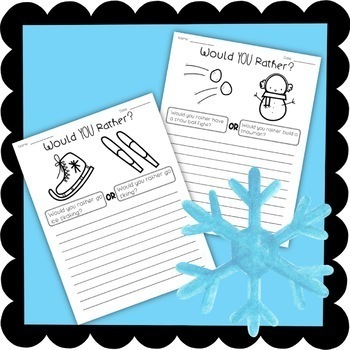 Students will write a paragraph and give reasons. 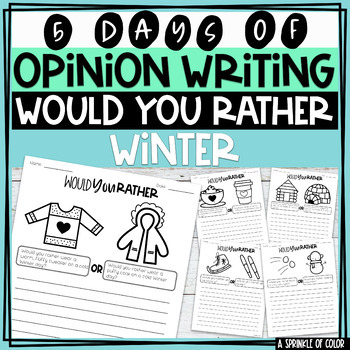 Full week of writing Prompts.